Good photos often stand out because of their composition. The "golden ratio" is a simple concept that helps in arranging a motif in proportions which feel aesthetically pleasing to a viewer. Here we'll show you how to use this particular composition aid when editing your photos in StudioLine, and how it can easily heighten the impact of your photos - long after the shutter closed. Let's take the example of a photo of a person or object. 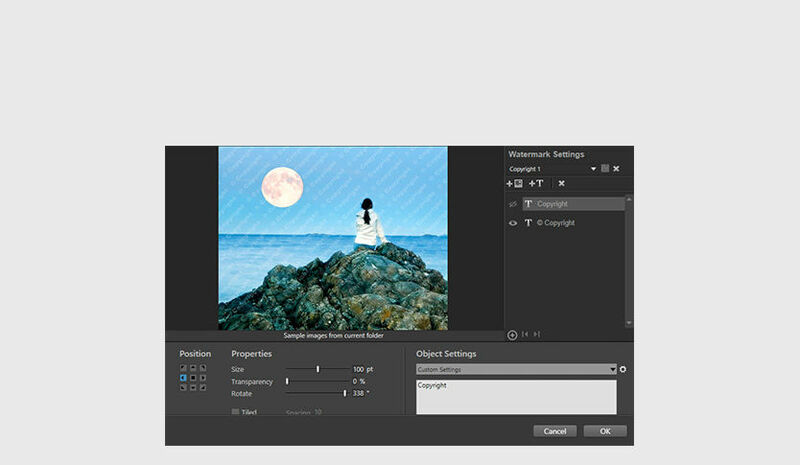 With StudioLine Photo Classic, you can crop the photo to an area that is based on the golden ratio. Guidelines will divide your photo into 3 by 3 sections, and you'd place key elements of your photo either on one of the guidelines or inside the sections formed by them. In the "Aspect Ratio" portion of the tool settings, click on "Composition Lines" and make certain a checkmark appears next to "Gold Ratio". 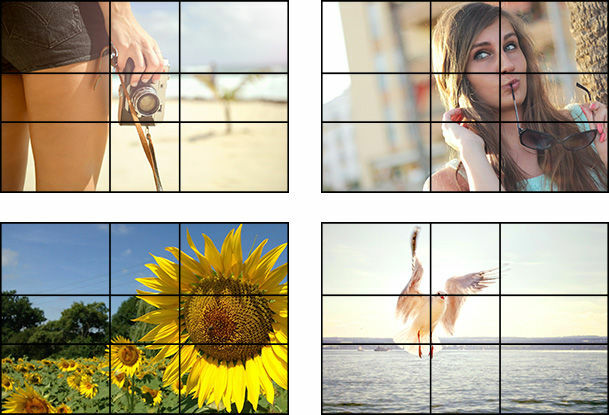 A grid based on the golden ratio will be superimposed over your photo. Open it in the "Crop & Rotate" image tool. 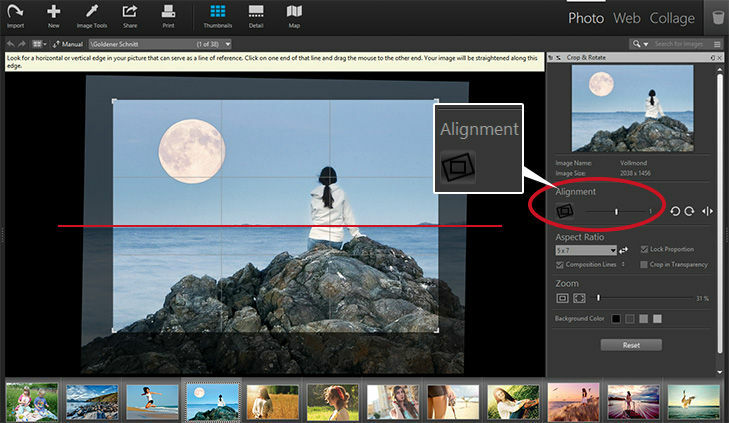 Use the "rotation" slider to align the photo perfectly or click the "alignment edge" button. Next, drag an edge along some element in your photo that should be precisely horizontal or vertical. Drag the cropping handles in the four corners until the key elements of your photo are positioned in accordance with the golden ratio concept. The golden ratio had been applied by Leonardo da Vinci and Albrecht Duerer for their paintings. It is a division of lines based on the ratio of 1 : 1.618, which also approximates the proportions of the upper to the lower body of a human. 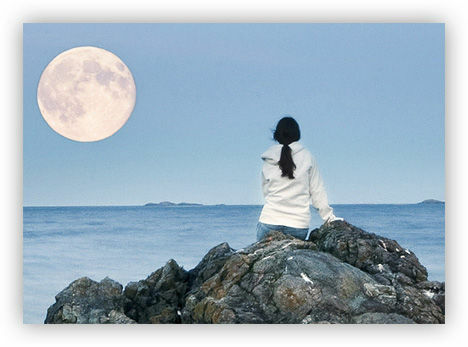 Because it is frequently found in nature, it does feel harmonic to most people. In our sample, the vertical center of the female's torso is placed on the right gridline, her head is at the intersection of two gridlines and the horizon rests at the bottom gridline. Regardless of which guidelines or sections of the golden ratio you choose for the key elements of your photo, the result will be a harmonic and enthralling composition. Get even more from photos and optimize with color tone and text tools, and by adding watermarks. 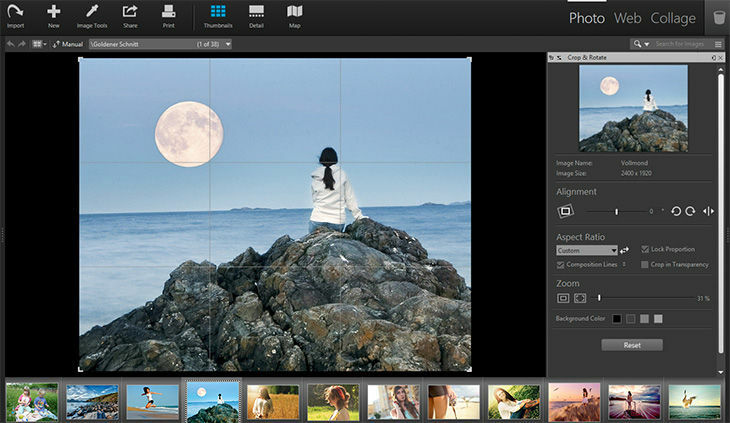 You can access professional image tools directly from the image viewer to optimize and perceptively enhance your photo. » Click here for the Workshop "Your New Darkroom"
Sets of image tool settings can easily be retained if you switch the editing pane to the tab "Filter Presets" and then click the "+" icon. Once you have added a set of image tools, give your filter preset a name so that it's ready to be reused at a later time. 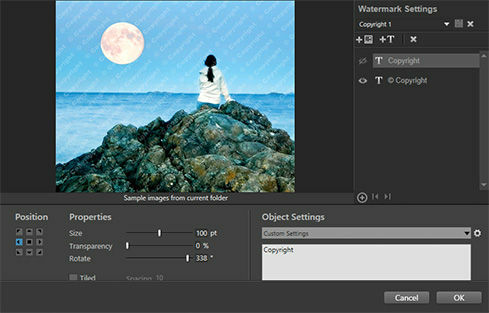 Reuse a filter preset for similar photos by selecting one or multiple photos. Click the "Copy" button on the filter preset, or drag it to a photo. Add your text, choose a font and experiment with shadow effects and transparency. A perfect geographic reference will be helpful when searching for specific photos later. 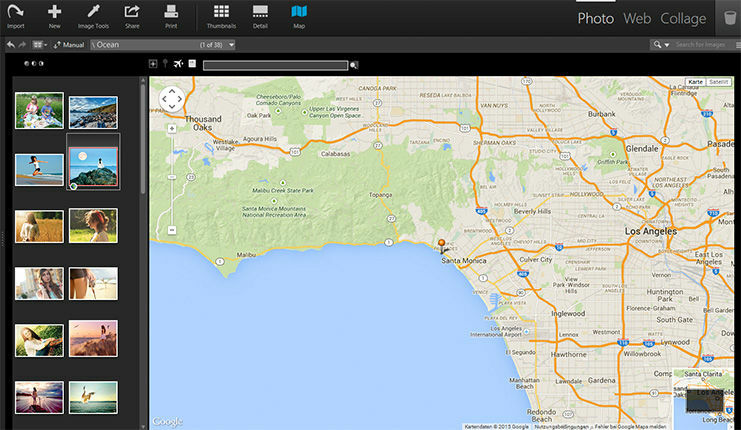 StudioLine Photo Classic has superior geotagging capabilities. On the main toolbar choose "Map", click on one or several photos in the preview pane, and search the location where the photos were taken. Click the "Pin" icon to the left of the search field and that's all it takes to assign that location to your photos. Watermarks discourage against unauthorized use of your photos. StudioLine provides a sophisticated watermark tool with a broad array of options.